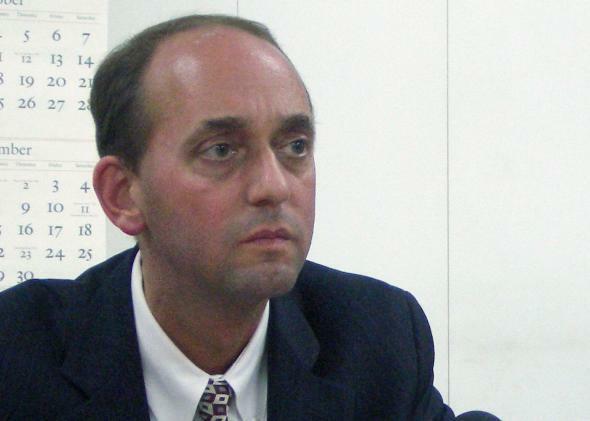 Missouri Governor candidate Schweich dies in apparent suicide. Tom Schweich at a press conference at the US Embassy in Kabul in 2006. Missouri gubernatorial candidate Tom Schweich died on Thursday from a single, self-inflicted gunshot wound in an apparent suicide. The 54-year-old Republican, in his second term as the state auditor, was considered a leading candidate in next year’s governor’s race. Earlier in the day, a police source told the Post-Dispatch that Schweich’s wife was in another room of their house when she heard her husband making phone calls, followed by a gunshot. Schweich had been shot in the head, the source said. A 911 call was made from Schweich’s home at 9:48 a.m., seven minutes after Schweich had left a voicemail requesting an interview with a Post-Dispatch reporter. The interview, which was also to include an Associated Press reporter, was set at his Clayton home for later in the day. The subject of the interview, according to Schweich’s comments to the Post-Dispatch’s editorial page editor, was Schweich’s belief that a top state GOP official had spread false information about him.